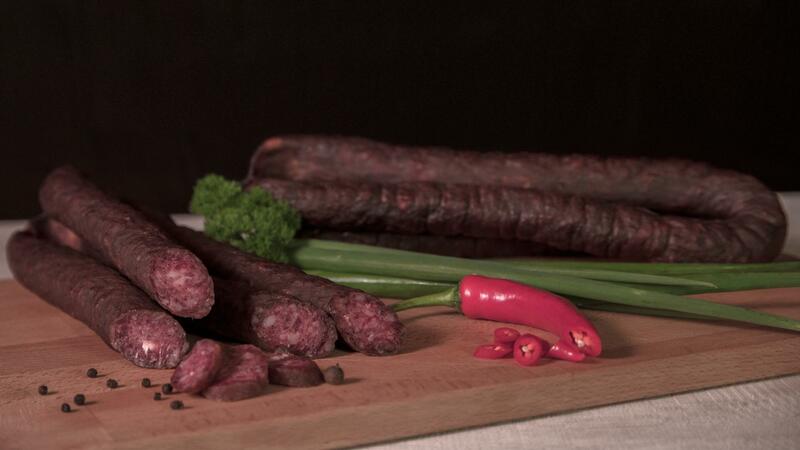 Sausage - meat product consisting of finely chopped, minced meat and chopped flitch of bacon. 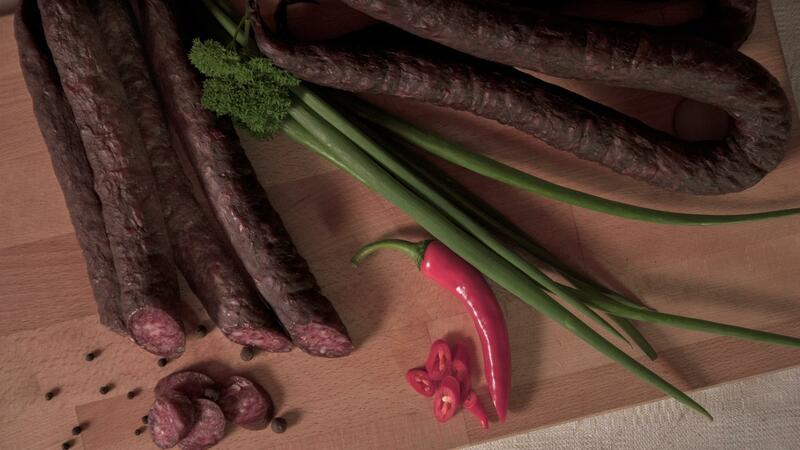 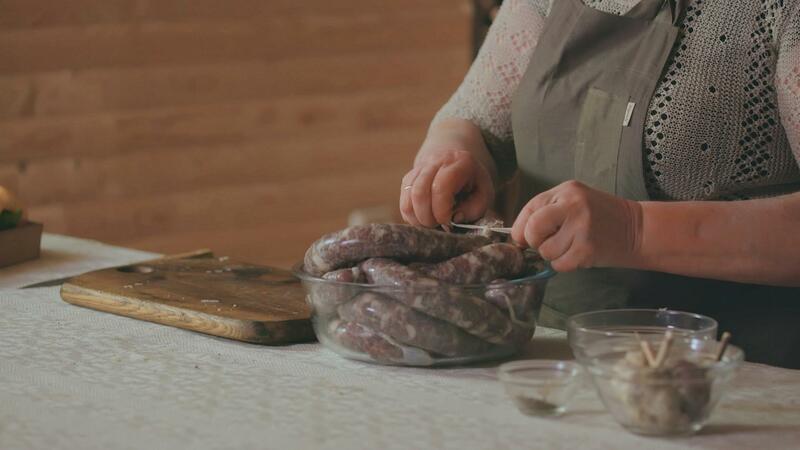 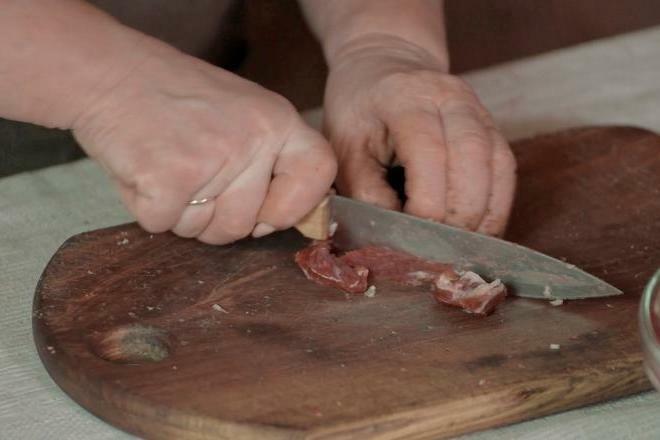 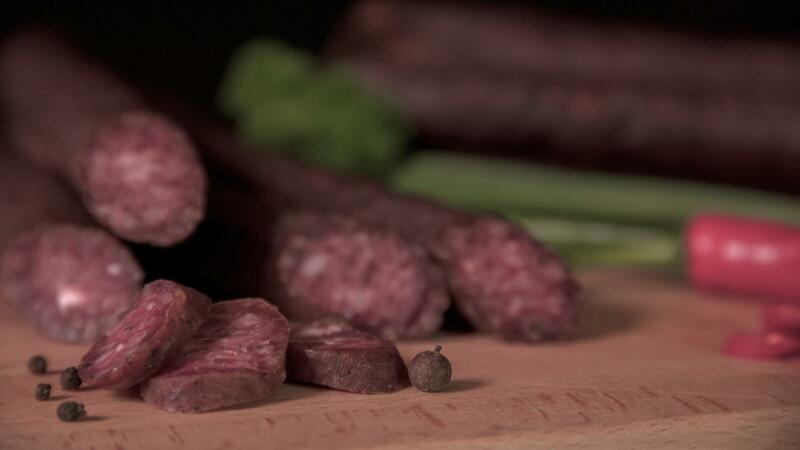 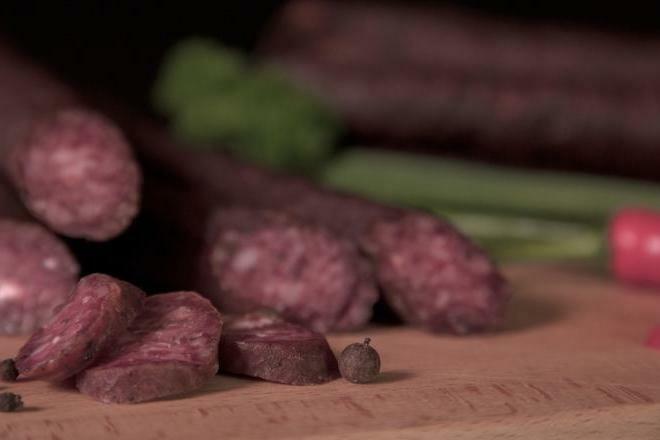 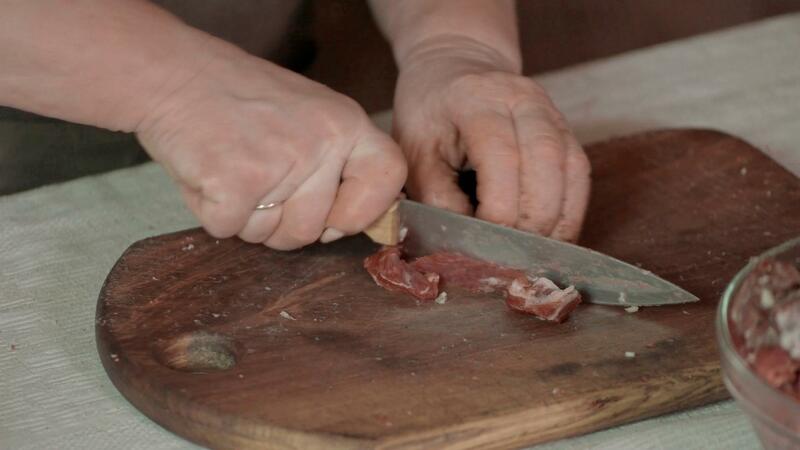 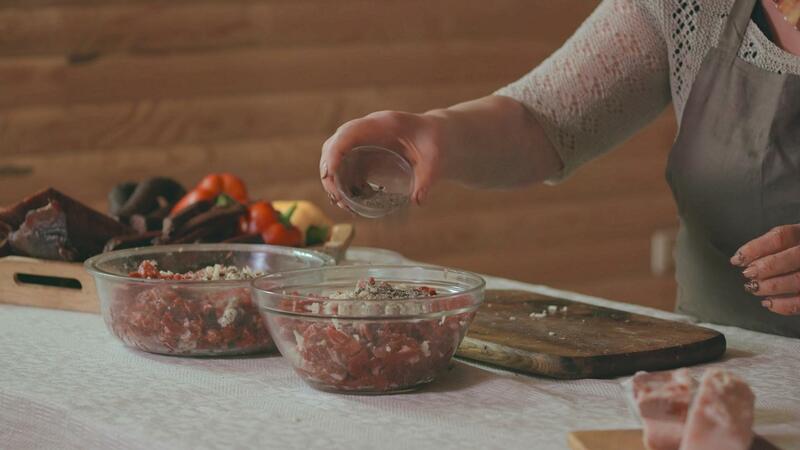 The content of the meat is mixed with spices and salt, is kneaded out and hardly stuffed into ready-made intestines, which give the sausages a certain form and protect them from the effects of the environment. 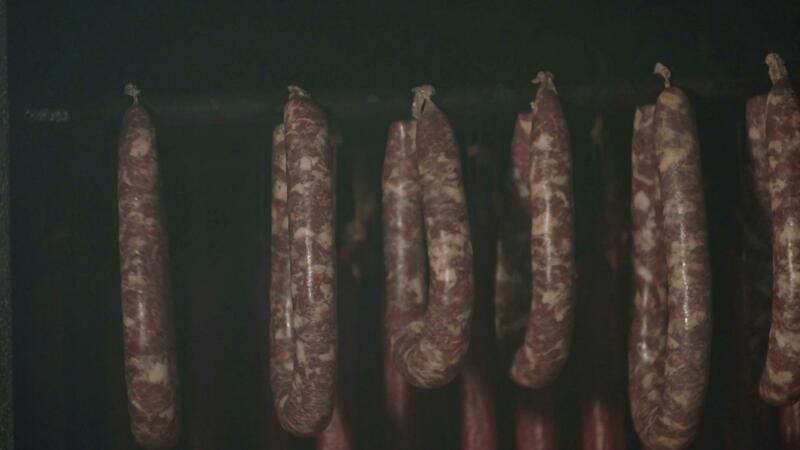 Sausage is smoked in many ways. 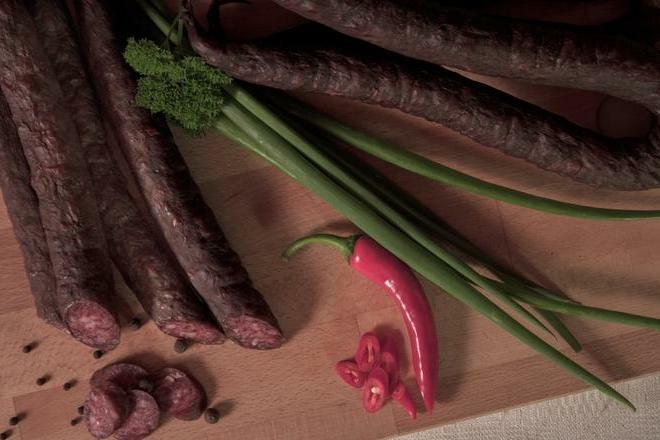 The advantage of smoked sausages is that they can be stored longer, but only in a cool and dark place. 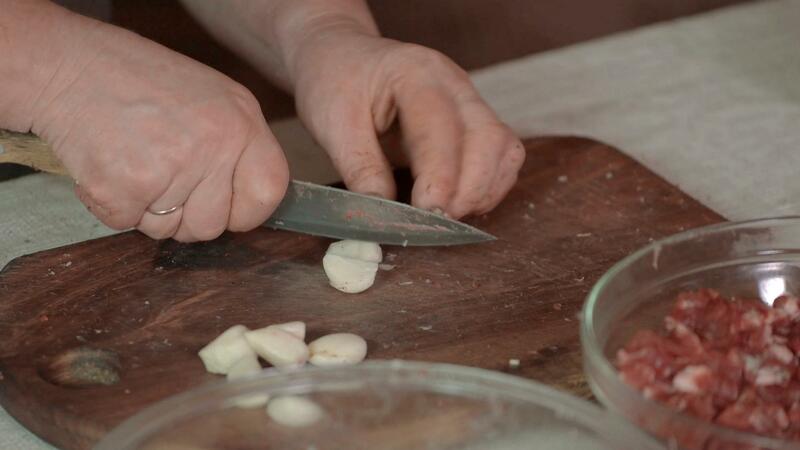 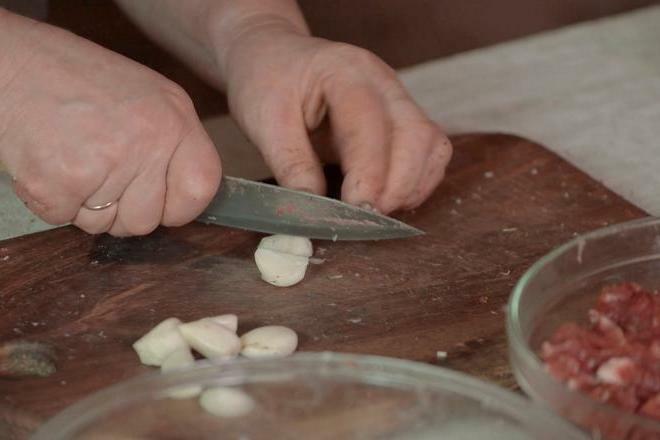 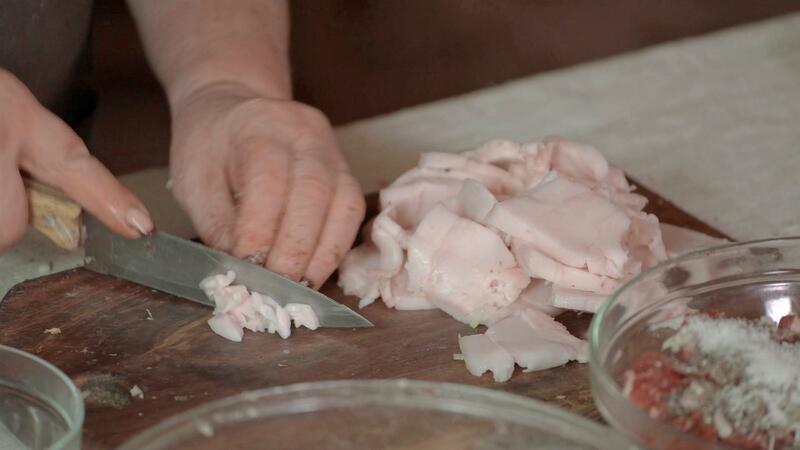 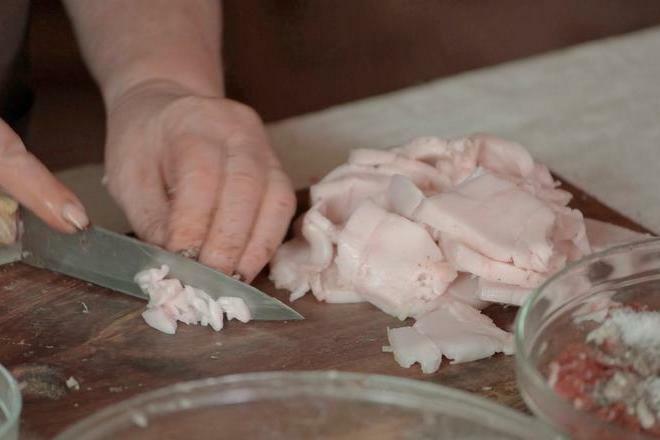 Remove the tendons, cartilage, and soft fat from the meat. 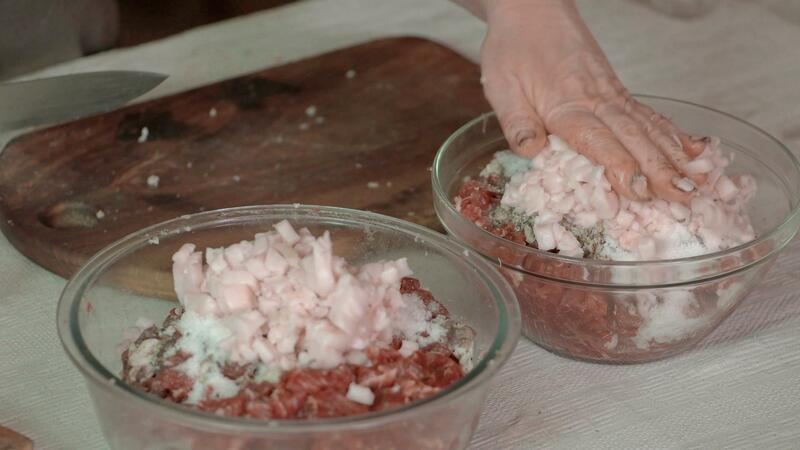 Finely slice the half of the meat and grind the other half. 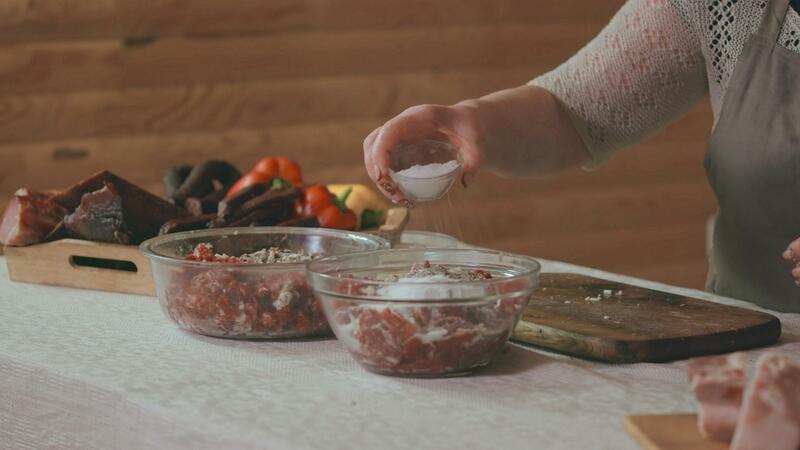 Mix whole meat. 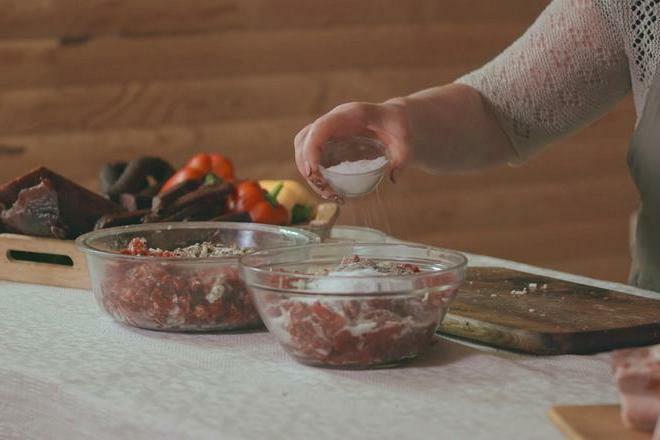 Add chopped spices, finely chopped garlic, and salt and knead everything. 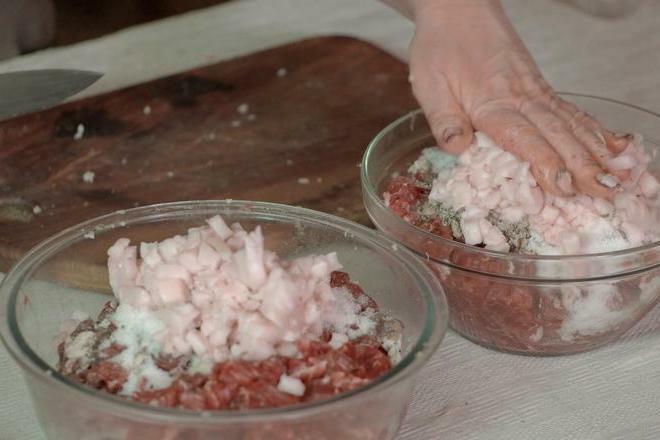 Cut the good hard bacon flitch in small pieces, put to the meat mixture and mix well to make it even. 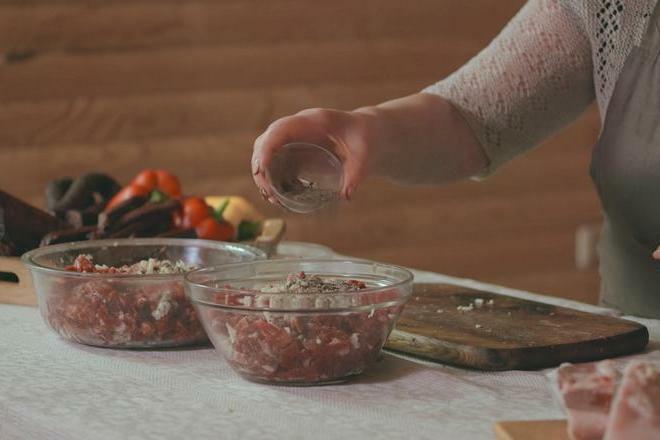 Put the prepared meat as soon as possible into the prepared intestines. 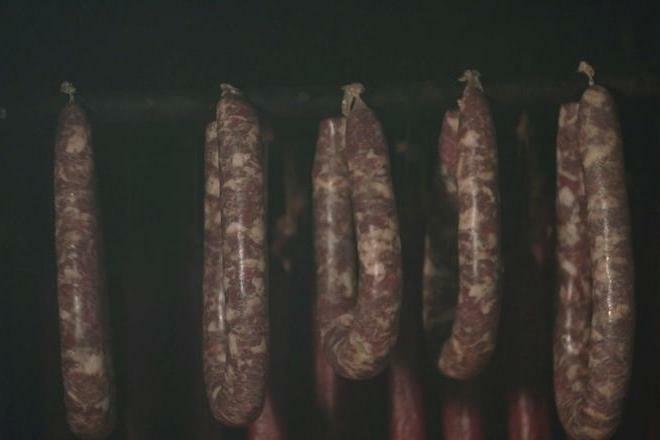 Dry the sausages and smoke them for 5 or 7 days in cold smokes.